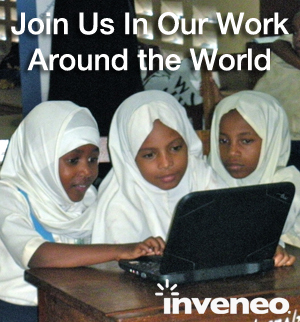 Inveneo Brings Up 82km Wireless Link to Haiti’s Central Massif – A New Distance Record! 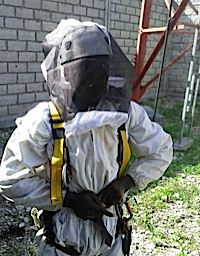 Inveneo engineers have been busy in Haiti! With our extension of the high-speed wireless backbone over an 82km wireless link from Port-au-Prince to a mountaintop site in the Central Massif, we shattered our previous internal record for longest link deployed, set in May 2010 and spanning 55km, from Port-au-Prince to Vallue. 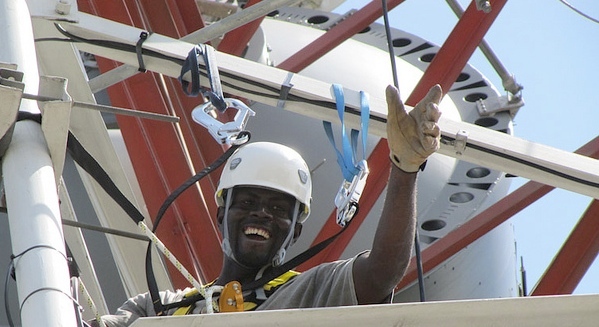 This new long link is the first step in bringing broadband connectivity to nonprofits, public agencies and small businesses in the underserved Central Plateau and Artibonite Valley regions and beyond. We put up this link with our standard long distance WiFi workhorse: the Ubiquiti RocketM5 radio with the 30 dBi RocketDish antenna. We were pleasantly surprised with the signal strength captured by this little dish on such a long link: up to a booming -74 dBm! (For the non-technical folk: smaller negative numbers mean greater received power). We arrived at the installation site prepared to install the significantly larger 34 dBi RocketDish, but given the strong performance of the smaller model we decided to hold off installing the larger dishes until we can streamline them with aerodynamic covers called radomes to cut down on wind load. With conservative performance settings, we’ve been able to push 20+ Mbps over this link in both directions and expect to do much better once we put the larger dishes in place. Wireless networks are relatively easy to deploy. This is one of the reasons they are such a good fit for the rural and developing world. After we identify a favorable relay location, we verify line-of-sight to an existing site using link analysis software and a site survey. Once we verify the link we position our engineers at each end with a small kit of gear. Though the rough roads in rural Haiti, Sub-Saharan Africa and elsewhere can make this process difficult, it’s certainly easier than digging 82km of trench and stringing 82km of cable or fiber. With sites identified and the link verified, a few days of hard installation work is all it takes to get a broadband Internet connection on a remote rural hilltop in Haiti’s Central Plateau. 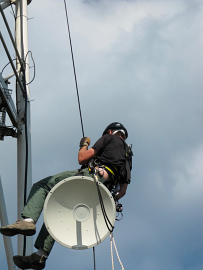 While the logistics of getting the right people and equipment are not simple, they are made substantially easier by the compact rugged equipment we use and are by far easier than installing fiber or cable. Next stop: putting up distribution and last-mile links to bring Internet to organizations subscribing to this reliable connectivity throughout rural Haiti.